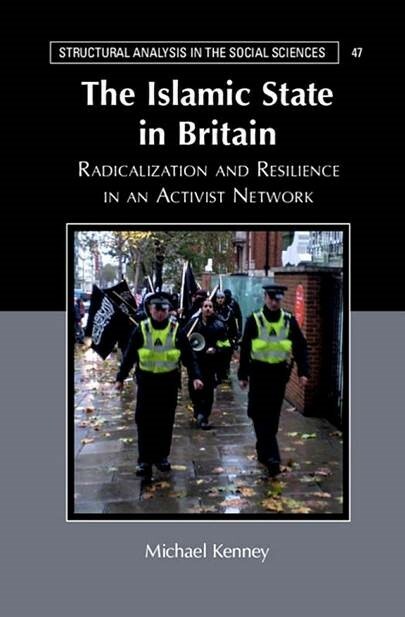 The Matthew B. Ridgway Center for International Security Studies is delighted to invite you to the launch of Dr. Michael Kenney’s book, “The Islamic State in Britain: Radicalization and Resilience in an Activist Network,” on Thursday, January 17, 2019 from 1:30 - 3:00 pm at the Twentieth Century Club, 2nd Floor (4201 Bigelow Boulevard, Pittsburgh, PA 15213). A panel discussion will be held with Drs. Kenney, Alexander Montgomery and Julie Chernov Hwang. In his work, Dr. Kenney draws on extensive field research with activists on the streets of London to provide the first ethnographic study of a European network implicated in terrorist attacks and sending fighters to the Islamic State. For over twenty years, al-Muhajiroun (Arabic for 'the Emigrants') strived to create an Islamic state in Britain through high-risk activism. Dr. Kenney explains why young Britons joined the Emigrants, how they radicalized and adapted their activism, and why many of them eventually left. Through an innovative mix of ethnography and network analysis, he explains the structure and processes behind this outlawed network and explores its remarkable resilience. This complex, nuanced portrait demystifies the Emigrants while simultaneously challenging the conventional wisdom on radicalization and countering violent extremism. A raffle of Dr. Kenney’s book will be held. Register at https://kenneybooklaunch.eventbrite.com. We very much look forward to seeing you at this important event in celebration of Dr. Kenney’s work. Twentieth Century Club, 2nd Floor (4201 Bigelow Boulevard, Pittsburgh, PA 15213).